Paddy Power Bingo is built on the backs of a true online gaming giant. A reputation that is every bit as big as anyone of their sites. 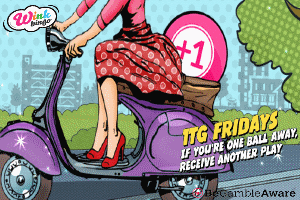 The Bingo is great, the games are well founded and the customer is support brilliant. That said, this isn’t the best bingo site out there, but the heritage that this site can call on is nothing short of spectacular. As a result of that, you instantly feel safe here and you just know that there is always going to be something completely different on offer. Paddy Power Bingo offers its players much in the way of entertainment and Bingo pleasure, but there’s also a feel good factor that comes with it that’s actually hard to explain. If there was a flaw in this brilliant site, then it lies with the fact that Paddy Power as a brand offers much more than just Bingo. Ergo, you’re likely to wonder off the beaten Bingo track. Is it perfect? No, but it’s probably all you’ll ever need. Paddy Power Bingo comes from an online gaming giant and their Bingo doesn’t disappoint. 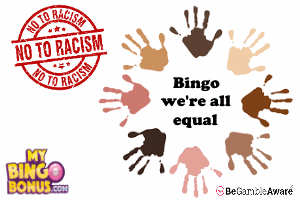 The bingo site might be the poor relative of the group, but it’s all you’ll ever need in a gaming site. 1. New customer only | 2. 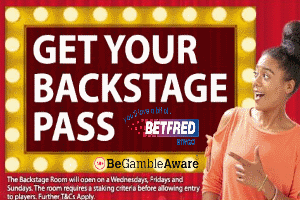 Deposit a Min of £10, Min stake £10, Max bonus £4 (£15 Bingo Bonus & £25 Bingo Slots Bonus) | 3. Bonus credited within 48hrs | 4. Bonus available for one calendar month from credited in your account | 5. X5 wagering requirements on any Bingo games, x20 on Slots | 6. Some games contribute less to wagering requirements, Full T&C’s. There is no such thing as a free supper, and at Paddy Power you need to know what you are accepting when you take your bonus funds. Likewise, you need to know what and when you can withdraw your winnings. Full details will be in their Terms & Condition’s on the bottom of their homepage. Time to cash-out: 2-5 working days.